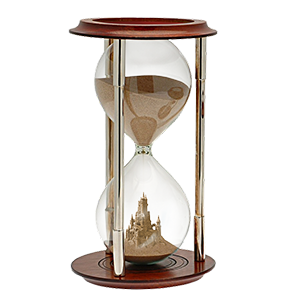 Home › Community › Counting Down to Standards Release! Your editorial board, implementation task force, and staff designers have been hard at work getting ready to release the National School Library Standards for Learners, School Librarians, and School Libraries in Phoenix, AZ, at our AASL National Conference! The standards consist of six Shared Foundations of school library practice. These values—Inquire, Include, Collaborate, Curate, Explore, and Engage—are expressed and practiced by learners and school librarians alike, and are supported through program structures called School Library Alignments. Key Commitments further define Shared Foundations by elaborating on their essential components. Domains of practice (Think, Create, Share, and Grow) reflect the development of competence as the learner or practitioner conceptualizes an idea, constructs understanding, communicates new learning or creates a product, and integrates the learning into his knowledge base. Competencies are statements that describe what the Shared Foundations look like in each of the Domains. 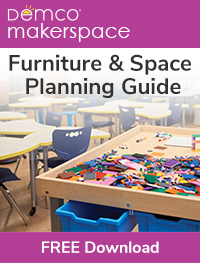 All of the material is organized in Frameworks that help the user see how the standards for learners, school librarians, and school libraries support each other. Many support resources are planned for the fall launch and beyond to help you understand and communicate the new standards structure in your collaborations and communities. 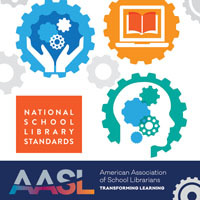 AASL will also host various opportunities to connect face-to-face and virtually with other professionals from across the country who are also implementing the standards. We will launch in Phoenix with a one-and-a-half-day preconference for AASL state and region affiliate organizations, designed to give affiliate leaders the tools they need to help members engage with the new standards. There will also be three half-day pre-conference workshops, each focused on one of the frameworks. After gaining a context for the standards in the Friday general session, attendees may choose from concurrent sessions that show how the Shared Foundations interact in practice. Each of these sessions will engage you in getting to know the standards and thinking about their application in your context. The concurrent sessions will be recorded for eCOLLAB, and the general session will be repeated as a webinar in mid-November. In addition to conference sessions, look for Knowledge Quest articles and blog posts, as well as eCOLLAB webinars, through the coming school year. 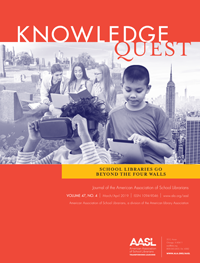 For example, the September/October issue of Knowledge Quest features an article about the editorial board’s process and a timeline that shows how the implementation task force and editorial board worked together. This content and learning opportunities will be organized on a web portal to facilitate your connections with other school librarians and provide a place for you to share your learning with others. Members asked for materials for different kinds of users. We have created one-page summaries to explain the standards to teachers, administrators, and parents, as well as a suite of Shared Foundation infographics to get you started. The Shared Foundation infographics summarize learner Competencies and suggest starting points for librarians. These infographics are being released today at standards.aasl.org as a preview for our first Twitter chat about the standards. Our first Twitter chat about the National School Library Standards will take place September 18, 2017, 6:00 p.m. Central Time, at #AASLstandards. Q1: Why might this be a time for new standards? How might new standards help us redefine practice? Q2: Which of our six Common Beliefs most resonates with you and why? Q3: Which of our six Common Beliefs is most shared by your school community? Why? Q4: Which of our Shared Foundations are you most excited about sharing? Q5: What questions do you have? We have been hard at work on your standards, and we invite you to join the conversation!